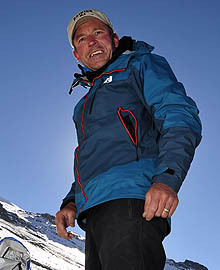 As you will all be aware by now we are doing this climb with two of Americas premier climbers being Ed Viesturs and Peter Whittaker, I wanted to give you a quick run down of their accomplishments…..First up we have Ed followed by a short 3 minute video explaining the up coming climb…..I will post a short Bio about Peter shortly. Ed made the first of his 200 plus summit trips up Mount Rainier while he was studying at the University of Washington during the winter of 1978. Most of his other ascents have been made while working for Rainier Mountaineering, Inc.
Ed has repeatedly proven himself as America’s leading high-altitude mountaineer, having ascended many of the world’s most challenging peaks, many of those without the aid of supplemental oxygen. He has made the summit of Mt. 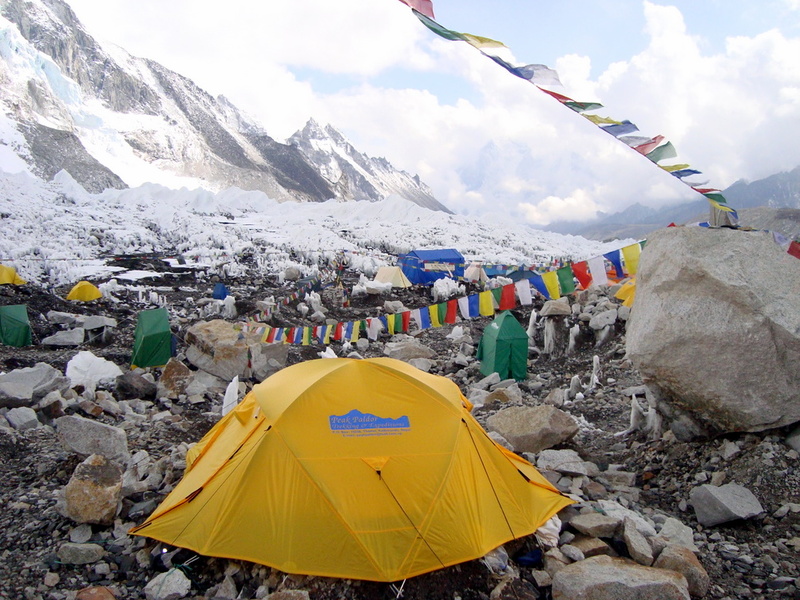 Everest seven times, most recently on May 19, 2009, with the RMI/First Ascent Team. Ed also became the first American and one of only five people to climb the highest peaks on all six continents, yet again without supplemental oxygen. His latest quest is to climb all fourteen of the world’s highest mountains with elevations over 8,000 meters without the use of supplemental oxygen. 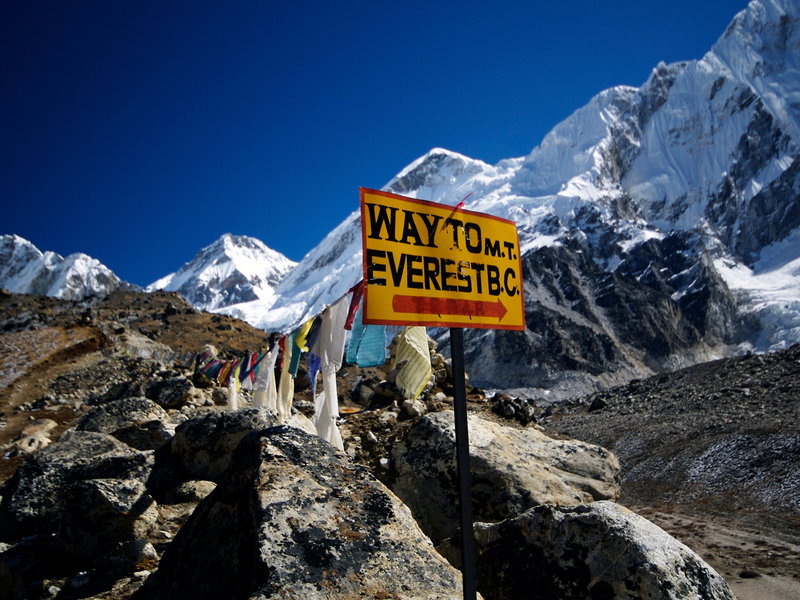 On May 12, 2005, he successfully completed his quest when he stood on the top of Annapurna. Only nine others have done so, seven of them forgoing oxygen. Ed is the first American to top all fourteen eight thousanders and has without doubt placed himself in the history books as America’s most successful mountain climber and has ensured his spot as a legend amongst his peers. ← Sad News on Mt Rainier. Looking forward to ringing the bell at the top! 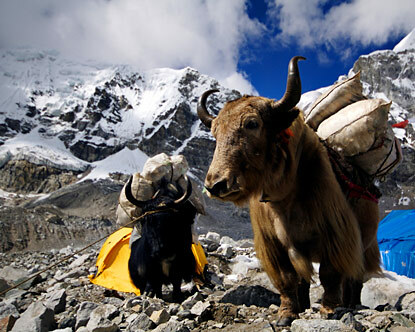 By this read you will be lead by very accomplished legends of mountaineering. Make sure you have your heads in the zone when you climb – we want you to achieve and enjoy this goal with utmost safety You mean a whole hell of a lot to, to a lot of people – I get some of the best inspirational hits from you guys. Supporting you all the way. Climb with strength of mind and heart, climb high and return home safely. This new adventure Carol is a charity climb with Ed, as far as I know he does not normally offer to guide but has a couple of climbs every year for Big City Mountaineers on Mt Rainier and Mt Hood…..for this year he charged $10.000 for Hood and $5000 for Rainier with the proceeds going to the charity……you can contact him directly on his email via RMI which is Mt Rainiers main climbing company…. I didn’t think I’d heard of him guiding before – that explains it, the fact that it’s a charity climb.